A sub four hour marathon finish may seem impossible, but it’s not. By running less mileage, training differently, and focusing on quality over quantity, anyone can run a sub four hour marathon. I did it and I continue to. In 2014, I ran 3 marathons within 72 days with times of 3:50, 3:46, and 3:42. I had tried numerous marathon training plans that never brought the results I wanted on a continuous basis. Now, I’ve built my own plan that allows me to actually have a life while seeing results. I’ll be completely honest. This may not be the plan for you. However, most people teach one different way and there should be an option and Sub Four Hour Marathon is my approach. 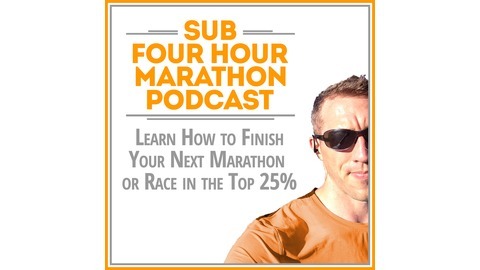 If you’re looking to try something different than what everyone else is teaching, the Sub Four Hour Marathon Blog and Podcast may be right for you. The key to marathon success is adaptation. There is no one right way to train for a marathon and anyone who says there is only one way is wrong. 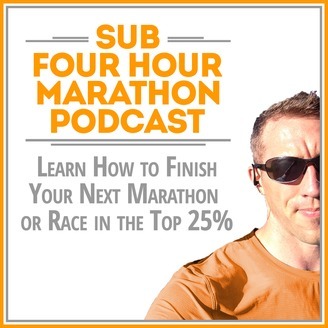 The Sub Four Hour Marathon approach might be right for you, but it might not as well. Don't just grab the first marathon plan and apply. Analyze multiple ones and test them out to see what works out best for your marathon training. We hope Sub Four Hour Marathon helps you.